My water company finally enabled electronic billing & payments. I'm excited as it's the last paper bill I had to deal with (of course I still just paid online using free Chase bill pay, but it was prone to errors and forgetting to make the payment). 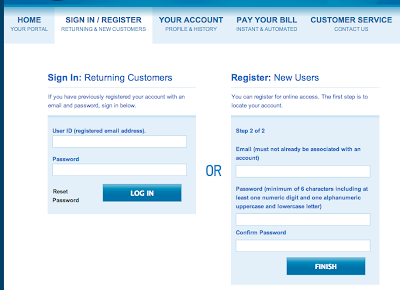 They combined sign up and login on the same page. 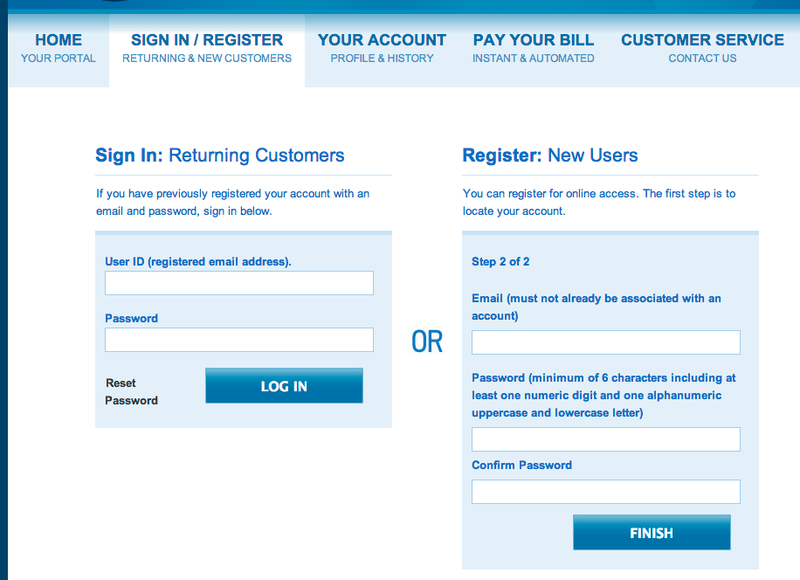 That's fine.. but getting to step two just did an ajax refresh of the right side, and still left you with a login page versus step 2 of signup. An odd flow to say the least. Notice this is step 2 on the right! Next, I didn't fully parse their long message about passwords, so I happened to enter one that didn't meet all of their specifications. Instead of an inline error on the form, I was taken to a blank white page with the error, and pressing back lost my work (back on step 1, needing to fill in my account number!). Not to be turned away.. 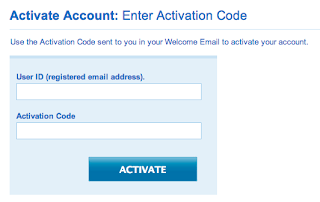 I filled out the form again, and used a more secure password. But wait, something is wrong with this one too... but rather than a blank white page, I do get an inline error this time, but it's red text in a red box. Good job guys. 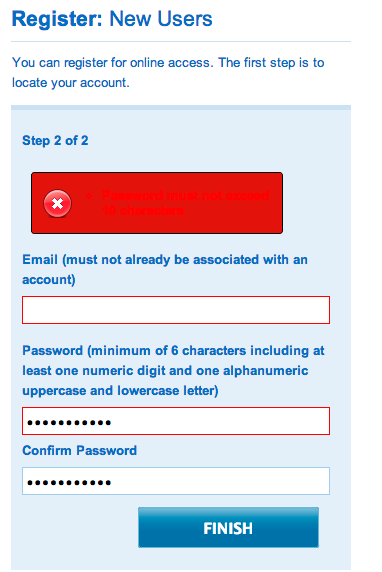 So I have to manually highlight the text to see what's in there... and it says "Password must not exceed 10 characters." I'm sorry, you make me use a password with a number, a lower and an upper case letter... but if I try to put in an 11 character password I'm turned away? Kind of a double standard on password security don't you think? I finally get through the form, and now the next step at least fills up the whole screen (no more login to the left).. but they don't even pre-fill my email address. It's the little things. I'll leave you with this gem. Check out where the "Logout" button is in the header! Not the first, not the last item, and not the link in the upper right... actually there's so much odd with this header. There are two rows of tabs, both have a "Home." Logout shouldn't be considered a main nav button (though I see so many sites, many of them utility sites, do that). "Go Green" is listed twice too, they must really want to be pushing that! So, "Contact Us" is really the only reasonable thing left in the top-most nav. So why not make that a link next to "Language" and "Logout" in upper right and be done with the top nav.